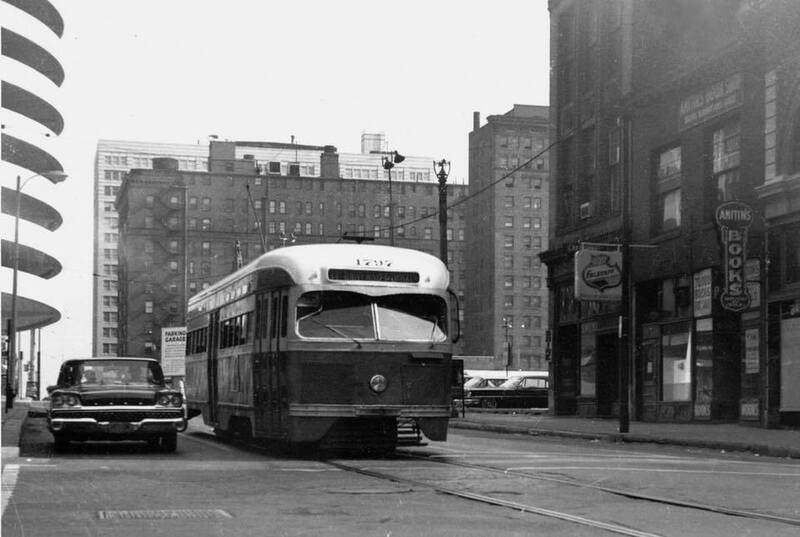 Today’s photo shows a streetcar heading west on Pine St. between 6th and 7th in 1961. Note the sign at right for A. Amitin’s Books. Amitin’s was one of St. Louis’ favorite bookstores from 1932 to 2004. Click here for some information about the shop.